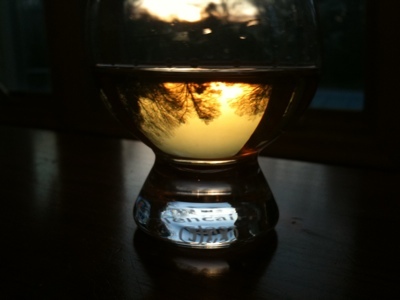 The Coopered Tot: Compass Box Hedonism Review - Coconut cream vanilla perfume eau de vie. 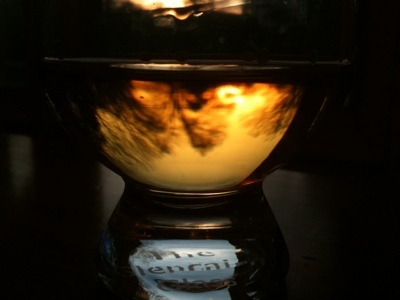 "Sunset through the whisky glass"
Thanks, Ryan! I was going to pose the dram against the Newark "Volcano" (the pile of rubble of what used to be the Westinghouse plant) - but it was just easier to use the sunset. Reviews of Hedonism seem to be all over the place lately. Some, like yours, absolutely sing its praises. Others find it to be pretty tepid. It sounds like this might be a downside to Compass Box's success - with growing demands for product, their ability to source good whisky decreases. I'd definitely like to try them, but I'll be getting minis rather than full bottles, at least to begin with. 1) Tons of reviews for Hedonism. - Yes, Hedonism is exciting and Compass Box does a great job of promoting their products. There are a whole lot of new blogs (present company included). Judge each review on its merits and your sense of the palate of the reviewer. You've read a bunch of my reviews - you probably have a good sense of how my tastes dovetail with yours. 2) People tend to either love Hedonism or find it weak. - True. It's a subtle flavor - and also a subtle flavor that takes a long time to open up. 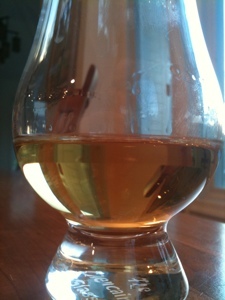 Before it airs out and opens up the medicinal alcohol note is strong and the flavor profile is tight and doesn't bloom. It's definitely thin and mediocre then. 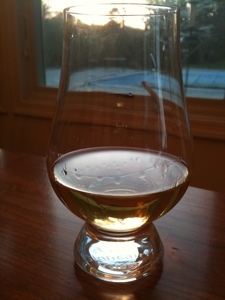 However the need to air is true of many drams. I suspect something else is going on. Take the coconut flavors. Obviously there is no actual coconut. The congeners and esters present in the grain alcohol develop into those flavors over time, with interaction with the wood. Some people will perceive them as coconut. Others as something else (I've heard toast). Ditto with the oils. Some will find it, like me, silky. Other's might dislike a texture that in cheap blends comes off as "fishy". These are subjective experiences. I'll tell you right now, my opinion of Hedonism went up each time I had it. The first time I drank it I would have given it 3 stars; the second and third time 4 stars. It was only with this final tasting - unusually leisurely and with the addition of a few drops of water - that I came away with 5 stars. Hedonism is a fan dancer whose charms emerge over time. 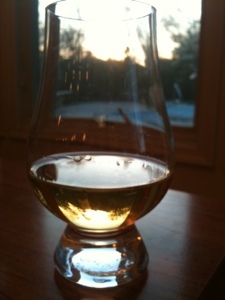 3) Will Compass Box be able to source good old grain whiskies in the future? - I find it striking that all the rest of the regular issue Compass Box offerings are blended to type but Hedonism is labelled a "limited edition" with the expectation that each edition will be a unique blend. That is a clear testimony to the rarity of the components. 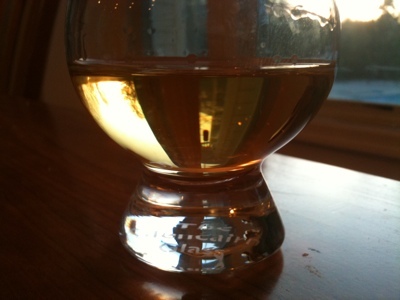 How much well aged high quality grain whisky is there in Scotland? I have no idea. I'd add a fourth question: how does good single grain Scotch whisky compare with Hedonism (I specify Scotch to exclude Irish single grain offerings like Greenore 8)? The Scotch Noob's article has detailed tasting notes for a 12 year old North British which mentions a similar flavor profile (creamy, floral, herbal). He specifies that he sourced it from the UK. Bottom line - Hedonism is very unusual - as a blended grain of high quality. High quality Scotch single grain whiskies are rare and hard to find and the ones on offer in the US seem to be rare expensive highlight selections. That makes Hedonism even more compelling in my opinion. Jordan, I think there's a good reason reviews are all over the place, and I also think Josh did a good job in his post, because I can see why he likes it, yet at the same time he gave me the requisite info to know that it's not for me (e.g. "light and subtle"). I think it's one of those that gets lost on a palate like mine, though plenty of people enjoy them. 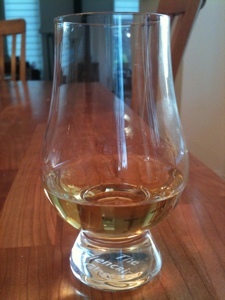 Undoubtedly, if you go for a light and subtle dram, Hedonism delivers. We crossed posts, Ryan! Thanks for the support. Meanwhile, Jordan is right to wonder about conflicting reviews. It often designates a polarizing flavor profile. Will Hedonism appeal to Jordan? He will have to find out for himself. I'll be very interested to read his review (if he does one)- and G-LO's (which will be hitting soon). 1) I'm arguing that high quality single grain Scotch whiskies are rare ***in the US marketplace***. I'm not arguing that they are objectively rare (I have no idea). Ralfy takes pains to tell us there are a million casks sitting in warehouses and I have no reason to doubt him. However, I doubt that a big percentage of that million is the very old nice stuff that's clearly in Hedonism. 2) K&L also has a 20 year Girvan for $80 and several very old (1960s vintage) selections as well - sorry to have under-reported before. These exceptions rather prove the rule. Decent single grain selections are pretty exotic in the US. I suspect this situation may be changing. So, any plans to review Flaming Heart?